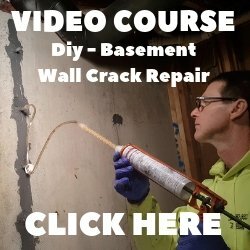 I made a short video to show you how to caulk a concrete expansion joint. It's not that hard to do, you just have to be careful when you use a self-leveling caulking material, once you start the flow of the caulking it doesn't stop the instant you stop squeezing the lever. 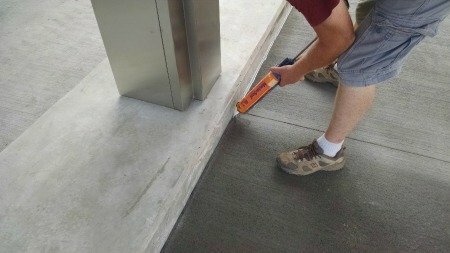 This is one of my guys using a self-leveling caulking to seal this expansion joint. 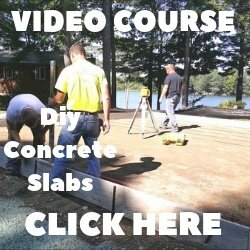 Learn how to seal a concrete expansion or isolation joint - watch me do it! We always use a foam material between the new concrete and the outer edge of what we're pouring against. In the video we're pouring concrete up against a granite curb. We want the concrete to be able to expand and contract, the foam will let it do that. But we want to seal that joint so water won't get into it and cause problems, especially in freeze/thaw areas like this one at a drive-thru bank teller in Maine. 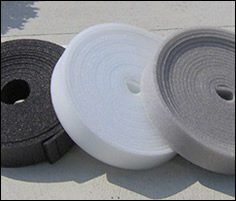 The foam material we use is called Harris Strip-off. The top half-inch is perforated so it will peel off easily after the concrete hardens. It comes in rolls 50 feet long and various sizes like 4", 6", and 8". We use a spray adhesive to stick the strip-off to whatever we're pouring concrete against. In this case we sprayed adhesive on the granite and on the strip-off material, waited a few seconds and it bonded to the granite very well. This is the easiest and fastest way I have found to install this stuff. TIP - Once you peel off the top half-inch, clean out any debris with a vacuum. If there are any voids that look like they go deeper (the granite edge is rough in some areas) use some silica sand or some traditional caulk material to fill that void. If you don't the self-leveling caulking will just keep sinking in the void. You could waste a whole tube trying to fill what looks like a small void. Another TIP - Self-leveling caulking is very fluid. Once you start caulking, the material flows out of the tube very freely. If you have to stop before the tube is empty, stop squeezing the handle about a foot before you have to stop and let gravity slow the caulking from coming out. Have a rag and a small empty cup readily available to put the end of the tube into after you're done. Caulking an expansion joint or an isolation joint is something you can do yourself. If you have any questions go to my Ask A Question page. I'll do my best to help you.